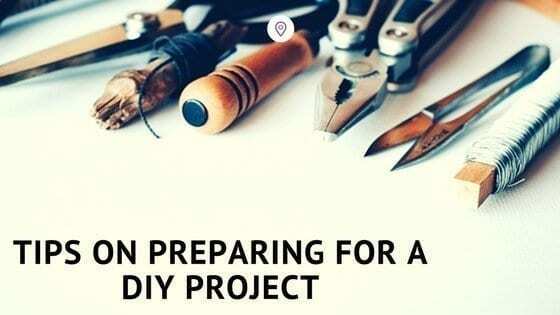 Planning a decorating or DIY project can be a mammoth task in itself, however I have always found that it is the preparation part that takes the longest time. This is probably why I am so easily distracted whilst decorating as I simply wish to crack on. Having to prepare walls, wash them, fill in, sand down and use masking tape on areas that will not be painted takes much longer than the painting job itself… however, to achieve the best results, it is an integral part of the task! Research items you will need for DIY tasks and ensure you have the correct tools, head down to a local DIY trade centre for expert tips and advice on the tools required to complete your project. So what do you actually need to help you prepare? It goes without saying that paint splatters, if you are unable to move items out of the room then at least ensure you cover them with sheets in order to protect them. Cleaning walls before hand helps to reduce the amount of oil marks on walls and allows paint to adhere quicker and better, leading to all round better coverage and less coats of paint needed. Sand blocks were recommended to help achieve a smoother surface before painted and I managed to pick a pack of 3 up quite cheaply from B&M recently. Clearly you do not want to ruin clothing when painting, so ensure you wear suitable clothing to protect you. Online retailer Engelbert Strauss stock many functional work wear items that are perfect for protecting you when decorating or carrying out home improvement tasks. Whilst pictures hanging from a wall may brighten up a room, the holes that are left when removed will need to be filled in and any type of Polyfila will help with this. Just ensure it dries properly and then sand down to ensure a smooth surface. Before you go gung-ho into painting a whole room a totally different colour, ensure you are completely happy with the new colour by trying several small tester pots. The colour on a swatch or on the side of a paint can may not be representative to the true colour when painted on your walls – so trying before you buy will at least ensure you choose the perfect shade for your room. Retailers such as B&Q have a wide selection of paint colours and finishes, so it is well worth researching properly beforehand.